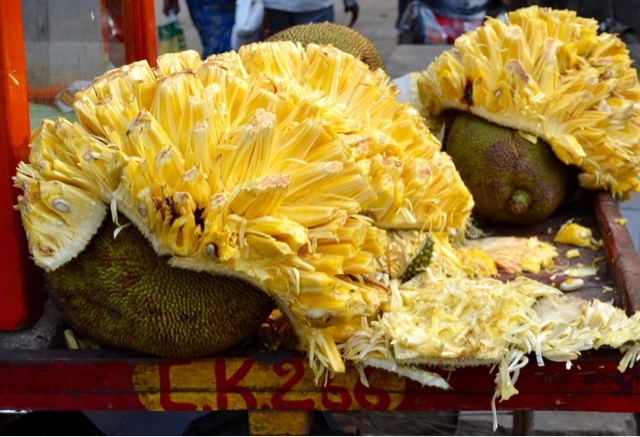 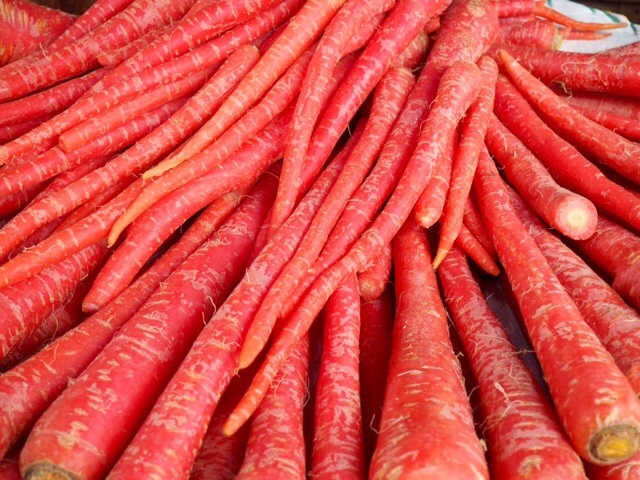 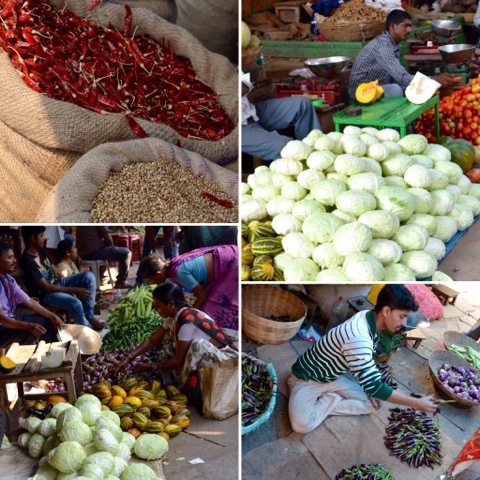 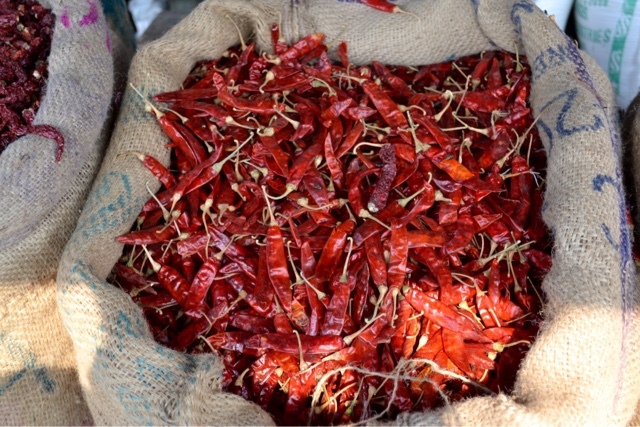 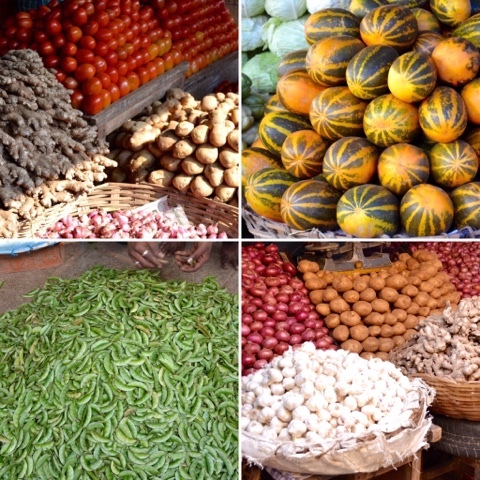 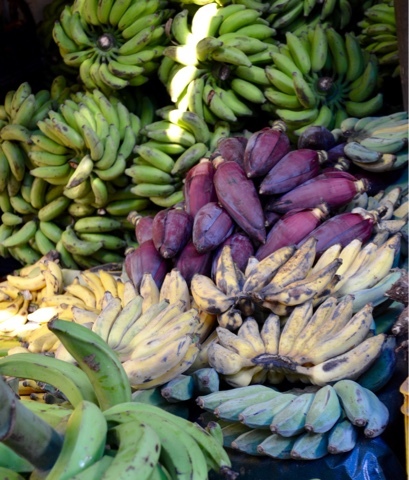 The market in Mysore is a wonderful place - so much produce, intended for local people, not tourists. 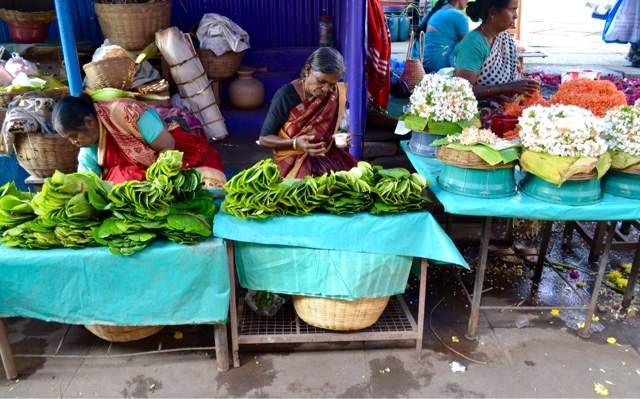 Tobacco leaves - chewed on their own or with betel nut. 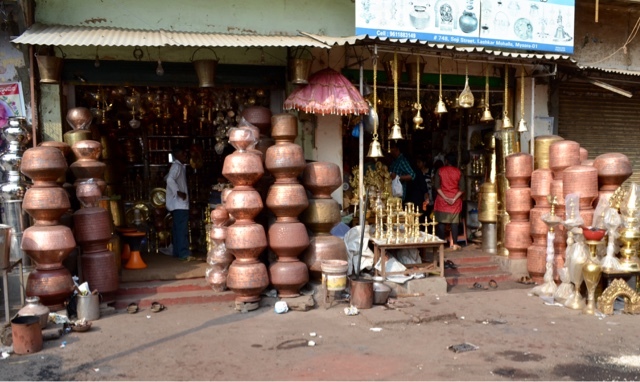 Metal items - these are water pots, but also tiffin cans and cooking pots, and loads of brass. 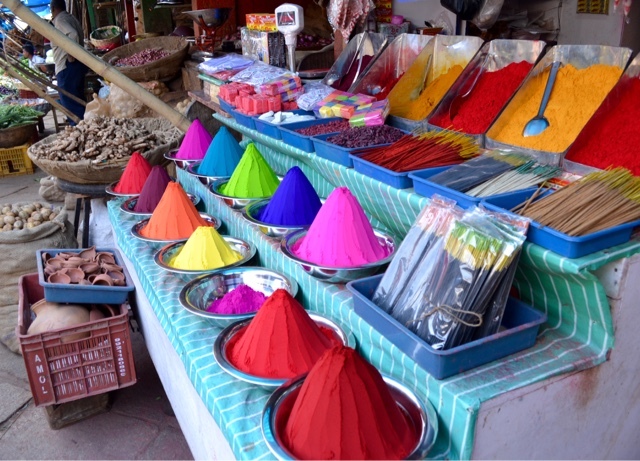 And loads of stalls selling colourful plastic items and bangles - forgot to photograph those! 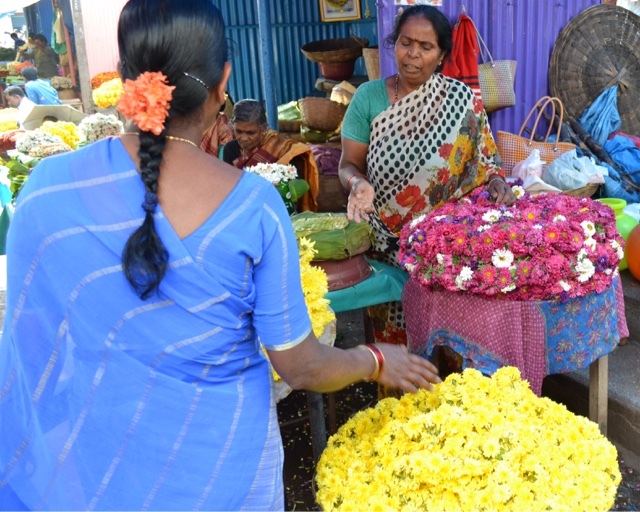 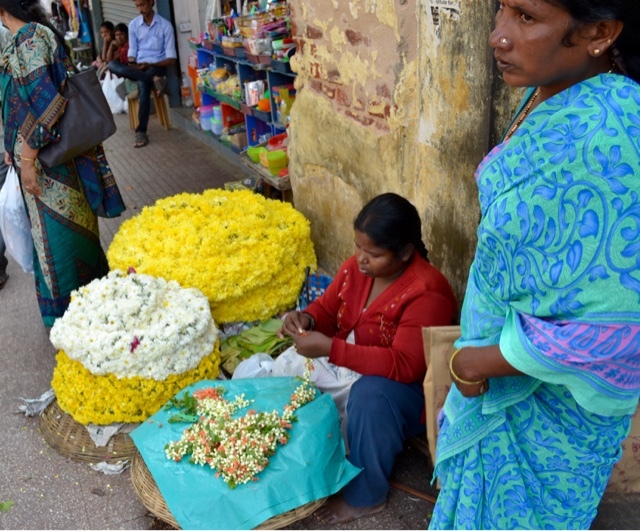 and the flower garland sellers - marigolds and jasmine flowers are knotted onto a long thread and sold by the cubit. 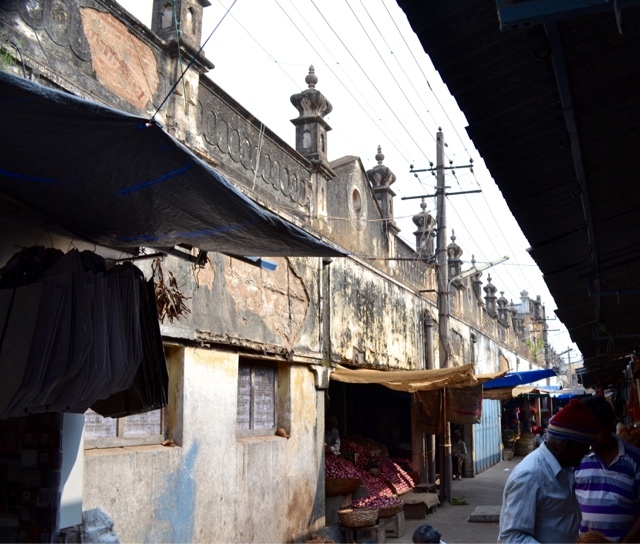 All in all a feast for the senses, all behind these ancient dilapidated walls.